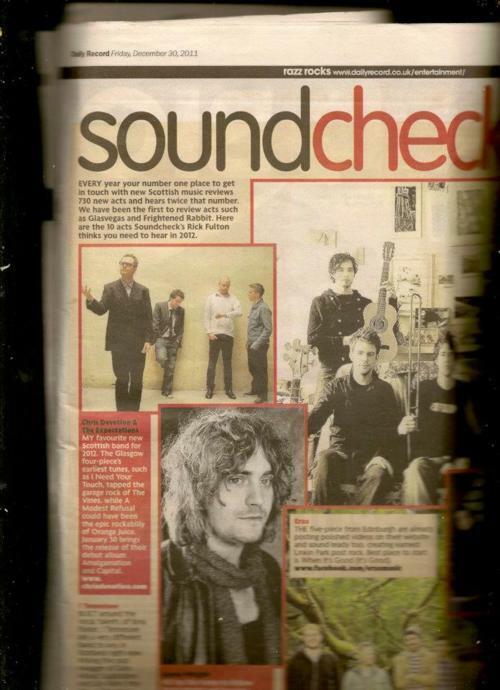 Chris Devotion & The Expectations have getting a lot of lovin’ recently, here they are getting tippage for 2012 in the Daily Record. Braw. "My favourite new Scottish band for 2012. The Glasgow four-piece’s earliest tunes, such as I Need Your Touch, tapped the garage rock of The Vines, while A Modest Refusal could have been the epic rockabilly of Orange Juice. January 30 brings the release of their debut album Amalgamation and Capital."